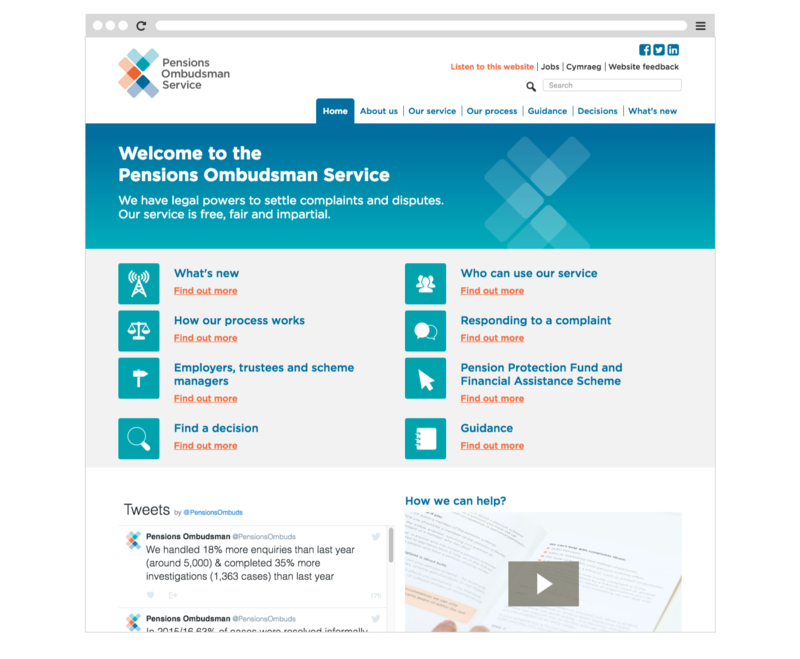 Being a key communication tool for both complainants and respondents alike, the Pensions Ombudsman entrusted Bang to deliver a website that not only represented their key audience’s needs, but their’s too. It was also built so that future enhancements and developments could easily be made. 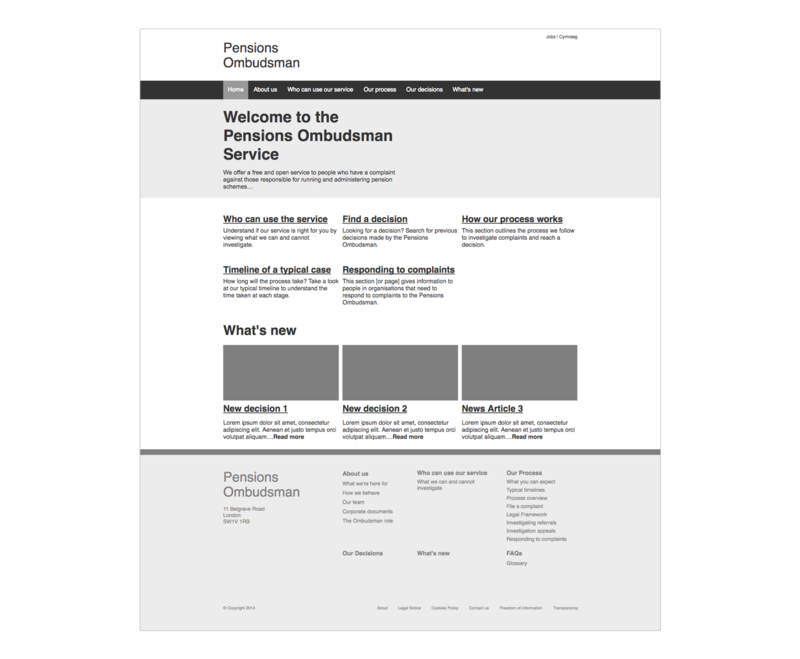 The Pensions Ombudsman realised that their website was not communicating the Pensions Ombudsman ethos ,and so wanted a website, that was clear, concise and offered the tools for their two primary audiences, complainants and respondents to interact with. 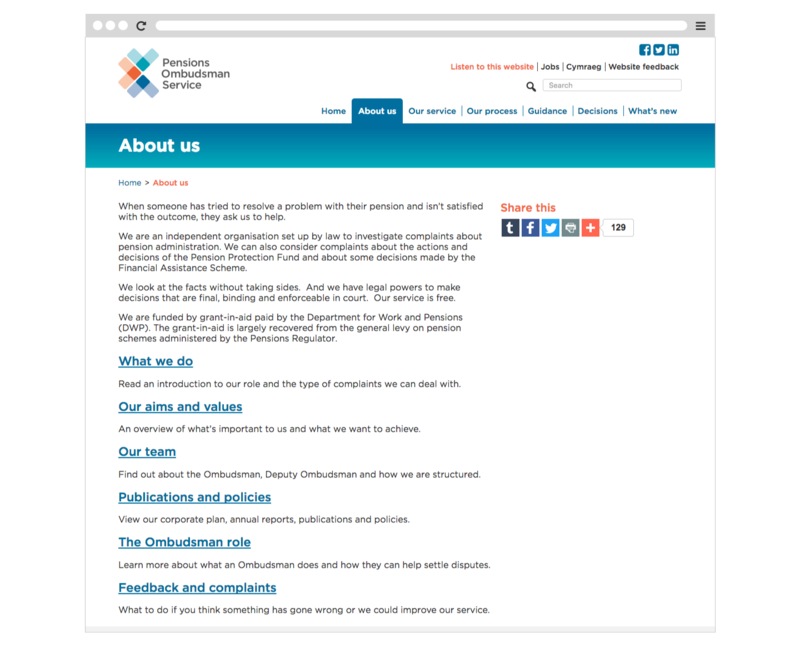 In turn promoting a clear understanding of ‘what the Ombudsman do’ and ‘how they can help’. Starting from a very rigid and staid CMS platform meant that they could not easily add content. 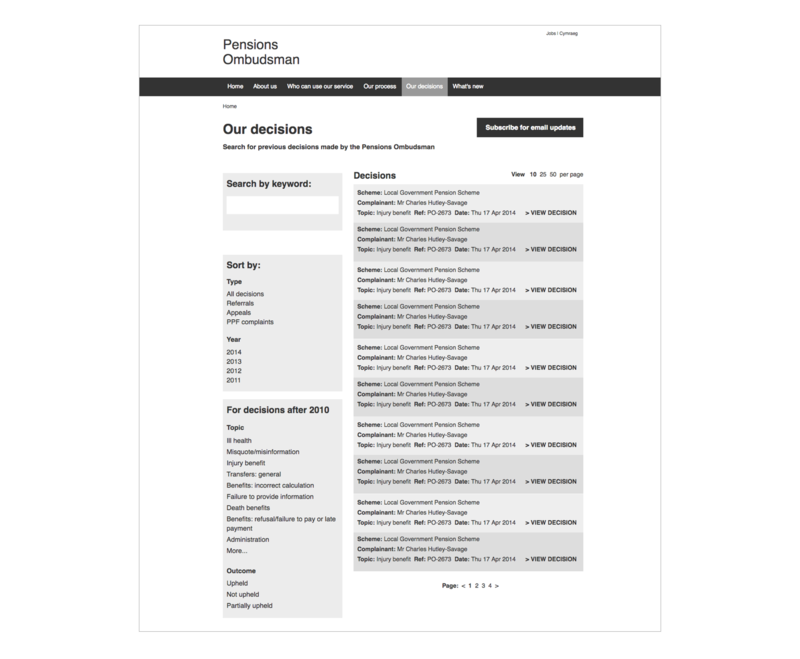 The Ombudsman needed a straightforward and reliable way of editing and updating the website. The site also consisted of a great catalogue of determinations, but these were very difficult to search. Leaving users frustrated, not being able to find the results that they were looking for, so the ability to improve search was key. Finally the site needed to reflect their new brand identify. To help find out what the audiences really wanted from the Ombudsman, Bang carried out user research that encompassed interviews with a blend of audience types. The knowledge captured from these sessions was then reviewed and consolidated into concise findings enabling us to produce detailed research reports, and develop user persona profiles for key site users. Working alongside the communications team we created a brand new structure for the site, helping map content areas, whilst creating a brand a new look for the updated brand. With the introduction of a WordPress platform, it meant content creators could easily add content, as it happened, without any of the pain. This also meant that information on the site was up-to-date. 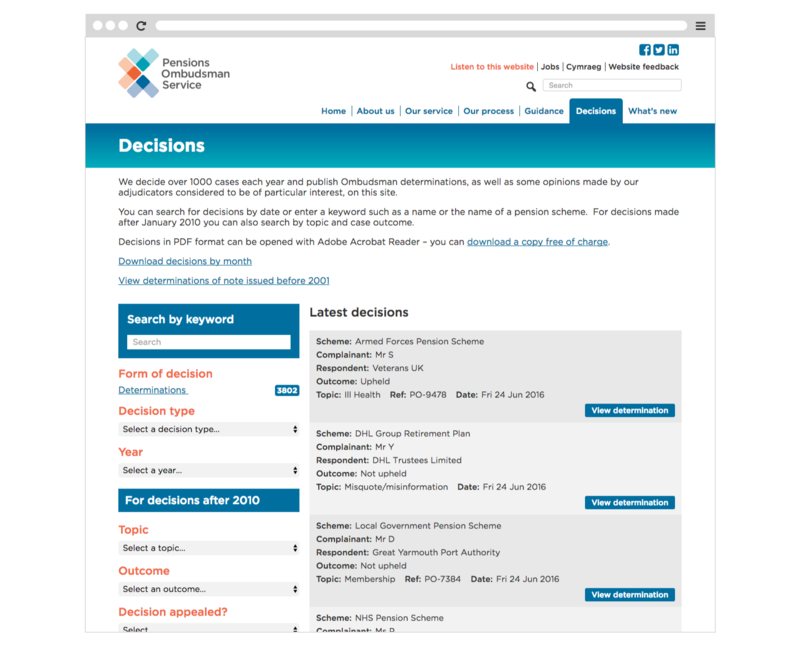 The catalogue of case determinations were migrated from the existing platform to the new WordPress site through the use of automating tooling. Manually reworking the Meta data to allow for search results to be filtered and found more readily. 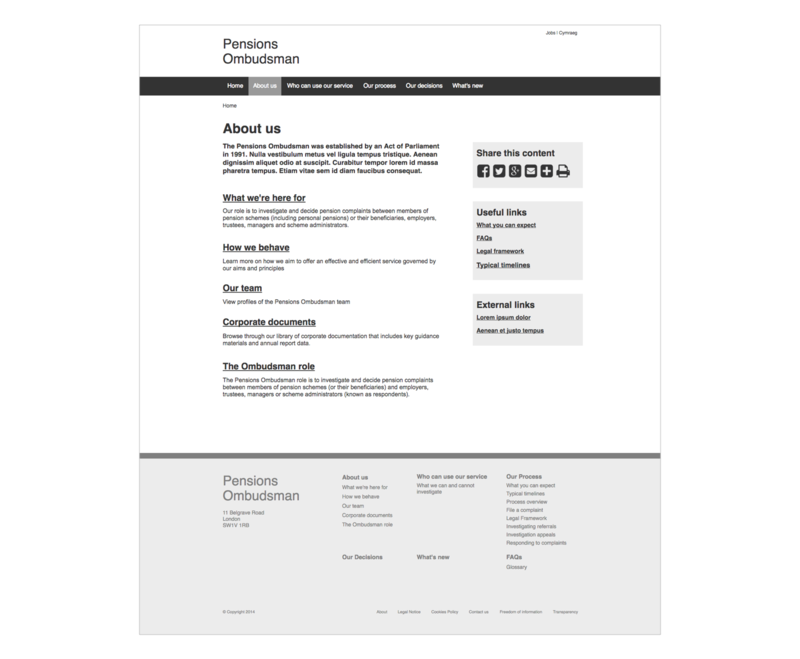 Together we created a site that not only embodied the Ombudsman’s brand and values but a site that was also, straightforward to use. 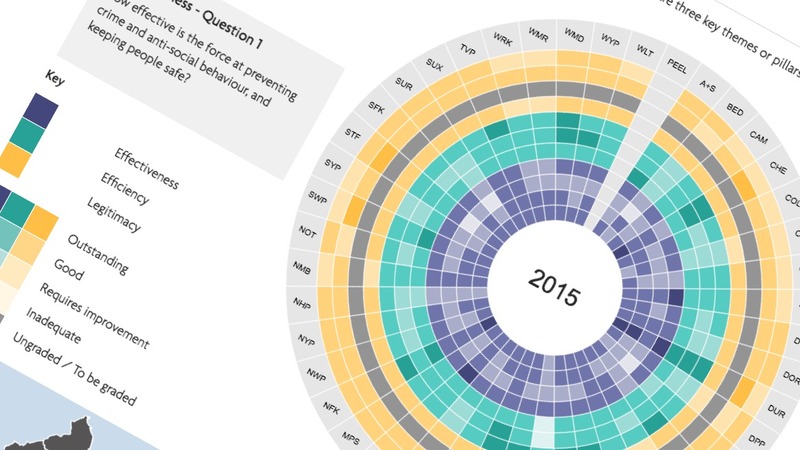 Not gimmicky or flashy, but a site that just works for its diverse visitors. 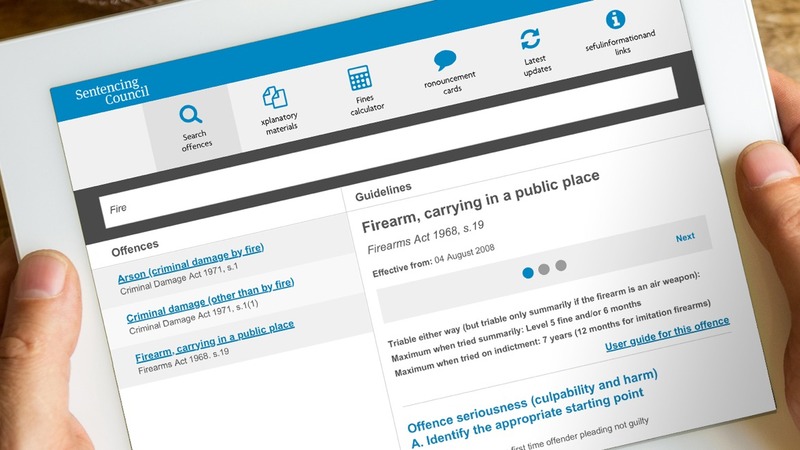 Bang have recently helped the Ombudsman develop an online complaints form that allows a previously paper only form to be filled out online and submitted directly to the Ombudsman. Giving the complainant a new, more dynamic method of supplying there information, reducing the time taken to deliver the form to the Ombudsman.